Take this opportunity to book one of our rooms in The Oak Tree Centre. The whole building has access to free Wi-Fi. These rooms are particularly suitable for parties, business meetings, classes/groups, training rooms and various private functions. 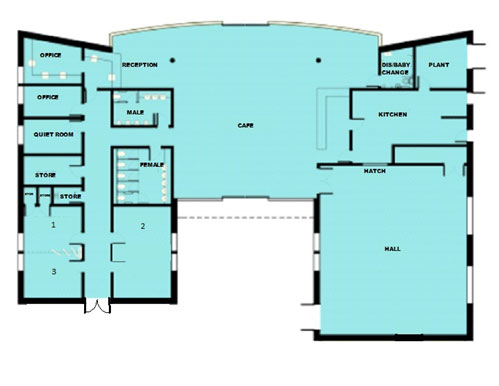 Please note: Rooms 1 & 3 can be booked as two separate rooms or as a double room 6.6m x 4.1m (27m²). The Hall and Müller Room are provided with a data projector attached to the ceiling. Unlimited chairs and tables are available. To make a reservation or for more information, please contact Nicki Bell, the Oak Tree Centre Manager at OTCManager@scf-mk.org.uk or call on 01908 410840. SCF want to see the premises utilised in a way that advances the Church’s work within the community of western Milton Keynes, through church activities, church sponsored activities and suitable community activities which help to build bridges between SCF and the local community. We have the right not to accept bookings for activities which are in conflict with the Christian faith and the SCF’s vision, values and theology, or will prevent our regular activities from functioning in full. A 50% holding deposit will secure the booking, the balance of hire fee must be paid at least 7 days before the hire date to secure the use of the premises as outlined. Payment will be accepted by cash, bank transfer or card payment. NB If our cleaning service is requested: any left over food must be taken away in your own refuse bags. Any excesses spillages need to be wiped up to avoid damage to the floor. The building needs to be left in a condition that’s ready for cleaning without excessive debris. If there is any damage, or if the hirer overruns, this amount will be held until the following working day when the issue or damage is discussed and deducted from the security deposit. If the booking is cancelled 60 days or more before the hire date, any payments are fully refundable. If the booking is cancelled 14 days before the hire date, the full amount is non-refundable, only the Cash Security Deposit (if applicable) will be refunded in full. Bookings may be made up to one year in advance, however advance bookings will be provisional and only guaranteed for up to 4 months before the event. 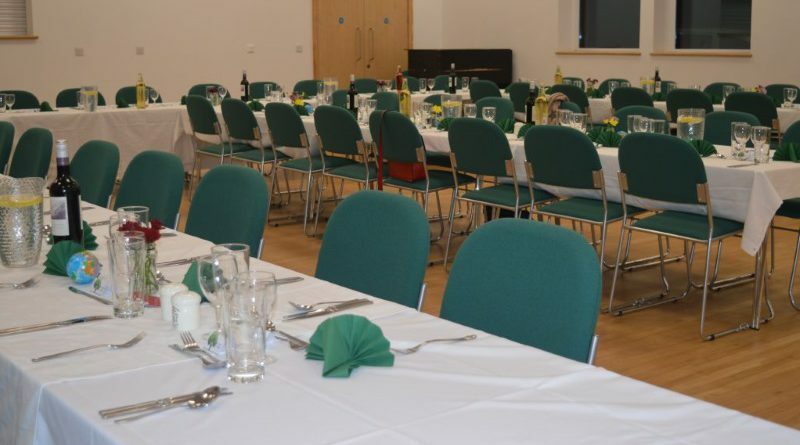 The Oak Tree Centre reserves the right to cancel or change any bookings, 4 months in advance, if there are unforeseen circumstances where there is an urgent appeal for the venue for a Shenley Christian Fellowship/Church related event. This will only happen after due consultation with the hirer. Any deposits paid will be refunded in full. In the unlikely event of such a case, all measures will be taken to find a suitable alternative date, which will be offered at a reduced rate of 75% of the full rate. The table below sets out the fees policy for the hiring of the Wilberforce Hall and Meeting rooms, as agreed by the Oak Tree Centre. All fees charged for lettings must be in direct accordance with this schedule and policy statement. One-Off Bookings – A 50% holding deposit to be paid upfront, to secure the booking. The full premises may be hired (including Hall, meeting rooms and café lounge) for a flat rate of £500 per day. The total booking fee must be paid in full at least 7 days before the booking period. One month’s booking fee must be paid in full at least 7 days before the booking period. This acts as a holding deposit and secures your booking/date/time. Use of the commercial kitchen is not permitted. Tea/Coffee/refreshments may be brought in by the hirer. Hot water pump dispensers can be supplied free of charge. Cold buffet food platters are available from third party recommended caterers, please inquire at time of booking enquiry. As a church we seek to be open and welcoming to the community around us and welcome all users who respect SCF’s values and vision of reaching out to the community. Out of respect to other users and our neighbours, we expect all users to conduct themselves in a reasonable and courteous manner whilst on the premises. We request that hirers leave the rooms in a clean and tidy state following their activity, ensuring that tables and chairs are neatly stacked or put away as appropriate. Where the premises are to be used for a regular activity with children present, the user agrees to comply with the policy and guidelines set out in the document ’Safe to Grow’. Key holders: an appropriate phone number must be added to the key-fob in case of loss. NB the name of the church must NOT be written on the fob. b) Restrictions may apply for certain events when multiple activities are functioning at the same time without reduction in fee. c) Street parking in the vicinity of the church is not permitted in respect for the local neighbours. d) Parking is strictly at the owner’s risk. The Church can accept no liability whatsoever for cars parked in its car park or on the streets. Whilst SCF will take steps to ensure the premises are safe to use, it is the responsibility of the hirer to ensure suitable first aid cover and that the SCF Health and Safety Policy Document is fully understood. Use of smoke machines, candles and burners is strictly prohibited. It is your responsibility to clean up after your event and leave the room in a clean and tidy state. All rubbish must be removed from the premises in your own refuse bags. Floors, tables, counters, café and servery area. Broom is available to use. We do have a cleaning service available for £50, payable 48 hours before the event. If this service is used, all the cleaning will be undertaken, including the hall, tables, café lounge and toilet areas. Any smaller rubbish and non-food items will be cleared. However, you will be responsible to clear away and remove any leftover food, in your own refuse bags. If any excess spillages are incurred we request this is cleaned to avoid any floor damage. If using our cleaning service we ask that you stack the chairs, to respect the building and leave it in a reasonable condition ready for the cleaner to start. All bookings must be completed on the Oak Tree Centre Lettings Application Form. Provisional bookings (applications) will not be confirmed until receipt of all lettings paperwork and deposit monies are cleared. j) If a key is issued, an appropriate phone number must be added to the key-fob in case of loss. NB the name of the church must NOT be written on the fob. The Senior Church Leader (SCL) is to be consulted before confirming a booking for a baptism, wedding or funeral. Any special arrangements for the service e.g. music, PA and AV support, access for flower arrangements or rehearsals are all to be agreed with the SCF Administrator and Oak Tree Centre Manager. regular booking, the request is to be referred to the SCF Leadership. Bookings must clearly indicate the number of tables and chairs that will be required. Moving of chairs and tables between rooms is to be avoided wherever possible and when necessary must be agreed with the Oak Tree Centre Manager. It is the responsibility of the Hirer to set out the room to their requirements and clear away on completion. When agreeing start and finish times for a letting, adequate time must be allowed for setting up and clearing away to be undertaken, without interference with other activities or the subsequent Hirer. The PA system is not available to hire. Conferences held during the week may request use of the PA equipment, at the Oak Tree Centre Manager’s discretion. As the Oak Tree Centre is located in a residential area, please respect our neighbours. It is essential that you vacate the centre in a considerate, quiet manner. Any period exceeding the agreed exit time will result in additional charges and will be deducted from the security deposit.